Consumers should be able to rely on the presumption that a product released into the marketplace by a manufacturer or retailer is safe for use. Unfortunately, this is not always the case. Often products are defective, sometimes causing its users severe and permanent personal injury. If you’ve been seriously injured by a defective product, you need a personal injury attorney experienced in product defects and product liability lawsuits to help you. Product liability cases can be complex, but the skilled attorneys at The Casper Firm have extensive experience and a proven track record to get the results that injured clients deserve. Generally when a defective product causes injury it is due to the negligence of a manufacturer, designer, distributer, or retailer. These entities must adhere to certain standards. If a product has a defective design or was improperly manufactured and that defect causes injury to a consumer, they may be liable. Manufacturers may also be legally responsible if they failed to adequately warn a consumer about potential injury causing hazards in using the product. The Casper Firm, experts in product liability, will conduct a detailed analysis to determine who may be legally responsible for your injuries and losses from a defective product. Designers, manufacturers, distributors, sellers or their insurance companies may be liable. We will determine the legally responsible party to bring about a resolution and compensation for your injuries. Product liability cases often require testimony from expert witnesses to establish the design or manufacturing defect. Our firm works with some of the top experts in the field including medical experts, accident reconstructionists, biomechanical analysts, human factors experts, vehicle collision dynamics experts and experts in occupant restraint systems. Often proving liability requires complex analysis from top engineers and others with expertise in the design, manufacture, and warning requirements of certain products. We will work closely with these top experts to assess your case so that we can determine how best to proceed so you can be compensated for the losses that you have sustained due to this injury. In products liability cases, we work on contingency. 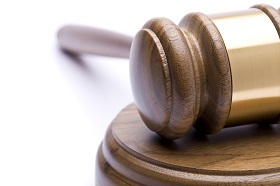 This means our fee comes from a portion of any settlement or court award we garner for you. In other words, you pay nothing up front, and we don’t get paid until and unless you do. It’s important to speak to a skilled product liability attorney as soon as possible. Injury claims have specific deadlines that must be met in order to preserve the ability to seek compensation. Call The Casper Firm at 410-989-5097 to make an appointment for a free initial consultation.